The most savage Lord of the Rings game adds an additional layer of violence with its Rune System, a method of upgrading weapons and generating retailer-specific preorder bonuses. 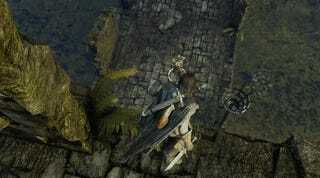 Middle-Earth: Shadow of Mordor's vaguely heroic Talion comes equipped with a bow, a longsword and a dagger. That's a fine arsenal for fantasy combat, but where are the explosions? That's where runes come in. By upgrading weapons using runes collected from fallen foes or delivered by GameStop, Amazon, Best Buy or Steam, players can add powerful damaging effects and buffs to their weapon rotation. Warner Bros. Interactive Entertainment and Monolith Productions made a video about it. Want to see it? Sure you do. This Rune System will allow players to customize their weapons according to their play style, as well as where they prefer to shop. Along with the previously announced Dark Ranger Bonus Pack preorder incentive, preordering the October 7 release for PlayStations, Xboxen or PC at the following retailers earns players magical powers the likes of which the world has never seen.